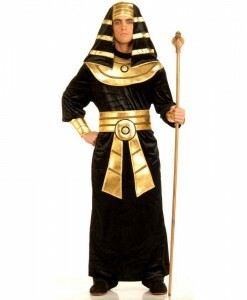 All of our Egyptian costume ideas evoke mysterious ideas of what life was like when the Pharaohs were entombed in gold and pyramids were constructed in their honor. 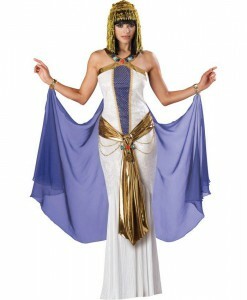 Lavish Egyptian costumes that feature adornments and metallic gold accents give us a glimpse of the outfits that Sultans, Pharaohs, and everyone in between put on. Egyptian costume ideas are perfect for Halloween because they are very sophisticated. 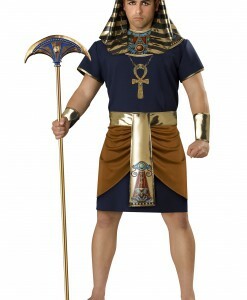 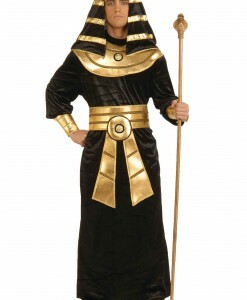 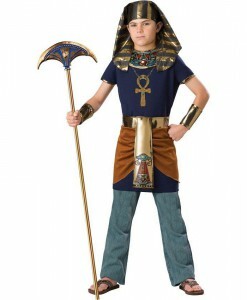 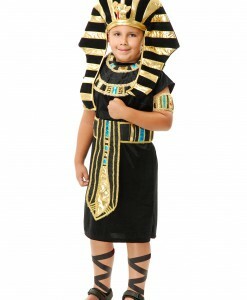 Our favorites include King Tut costumes, Cleopatra costumes, and Nefertiti costumes. 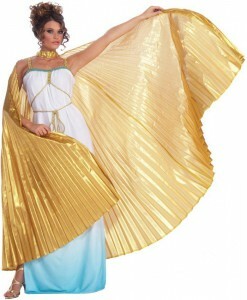 You can also dress like a mummy, a goddess, or even like a warrior. 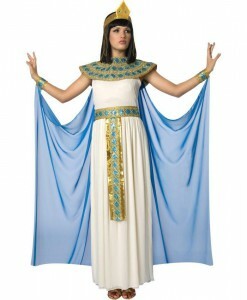 For women, we have classic white robes with gold adornments, as well as black robes that depict dark Egyptian princesses or goddesses. 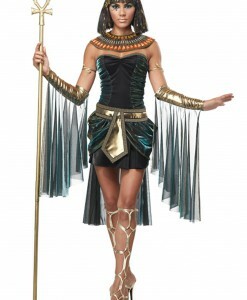 For a more authentic look, these Egyptian costumes would better go with Egyptian style straight black wigs and dark make-up around the eyes. 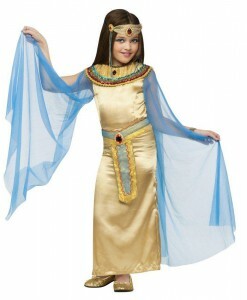 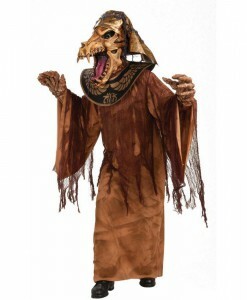 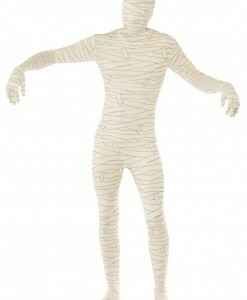 To portray a more dangerous, frightening beauty, dress up as an Egyptian mummy in a tattered white costume. 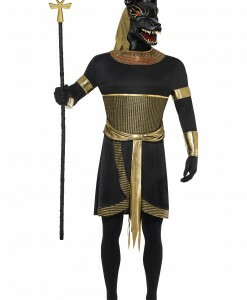 For men, we have dark-colored tunics with golden accents to create a look of the Pharaoh, an average Egyptian man, or Anubis the Jackal. 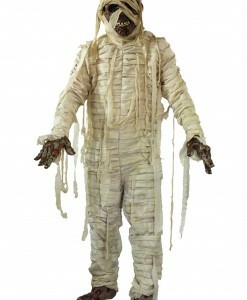 If you want to create that frightening atmosphere that is associated with Halloween, then go for one of our mummy warrior costumes. Those who do not need the whole Egyptian costume can accessorize their handmade ensembles. 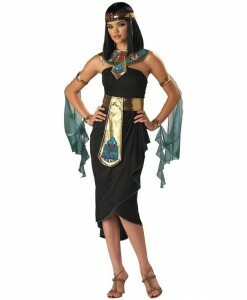 Items such as Egyptian sandals, snake armbands, Egyptian staffs, Egyptian belts, Cleo de Nile wigs, King Tut headbands, Cleopatra earrings, bracelets, and others can perfectly complete any dress with golden accents for an extraordinary look at an economical price for you to shine like the true Queen of the Nile. 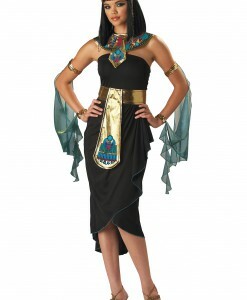 The Egyptian Pharaon, Cleopatra, or Nefertiti – no matter what Egyptian costume ideas you like better, as long as we have stocked all costumes in one place. 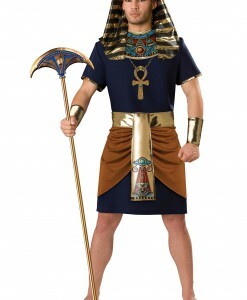 Our Egyptian costume ideas and accessories offer a great opportunity to team up with your family members and close friends for some very special Halloween photos. 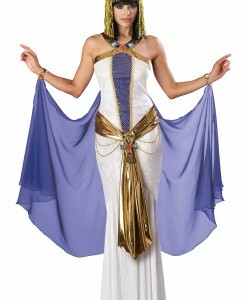 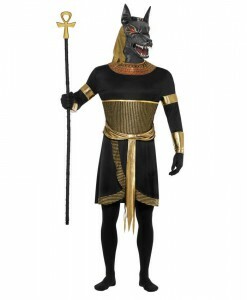 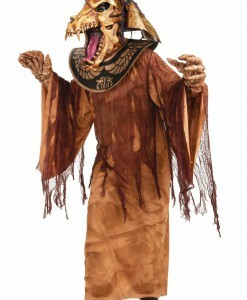 Our selection of Egyptian Halloween costume ideas gives limitless options for both women and men for Halloween. 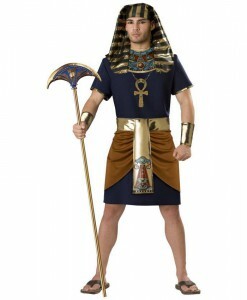 For your convenience, we have all your Egyptian costume and accessory needs covered with free delivery anywhere in the USA, Canada, and the UK. 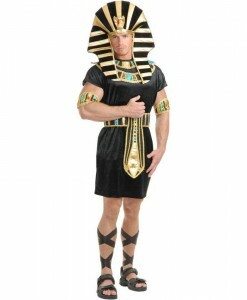 For more Historical Costumes, browse our extensive selections of Medusa Costumes and Musketeer Costumes, where you will find a wide variety of adorable outfits to put on for the next Halloween party!